It is with great pleasure that the Nicodemus Center for Ceramic Studies (NCCS) announces the permanent loan of its John Bell, Daniel Baker, Jacob Heart and Jacob Kimler pottery collection to the Renfrew Museum and Park. The Nicodemus Center for Ceramic Studies (NCCS), was founded in 1994 by Renfrew Museum and Park’s Board of Directors (Waynesboro) and the Borough Council of Waynesboro and is governed by a board of seven volunteer directors. The mission of NCCS is to preserve and interpret the historic pottery tradition of the Cumberland and Shenandoah Valley region. 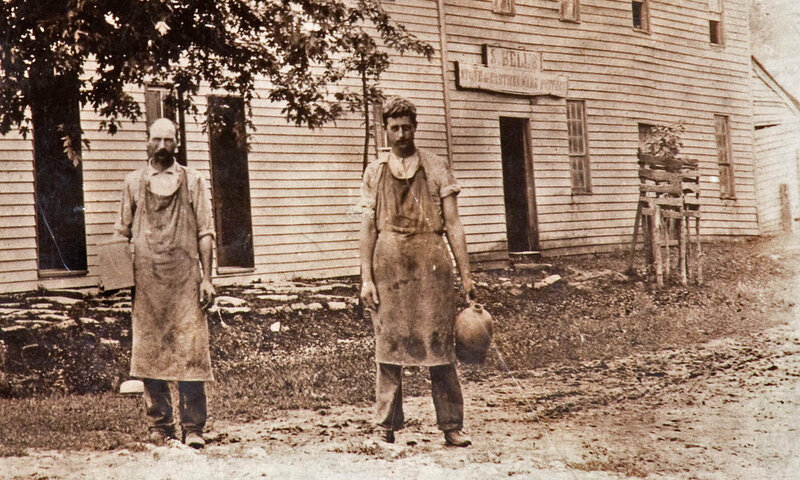 The addition of our collection, to Renfrew's already comprehensive Bell collection, reinforces the rich history these mid-19th century potters established while living in Waynesboro and the Shenandoah Valley. The center is named for the late Emma Geiser Nicodemus, who established Renfrew Museum and its historic folk collection of the Bell family pottery as a bequest to the people of Waynesboro, Pa. The center was initially created to preserve and interpret the historic folk potteries of the Cumberland and Shenandoah Valleys. We are delighted the public will be able to view NCCS' historic pottery collection in its entirety on the second floor of the Royer House during tours and regularly scheduled hours. This will further NCCS' mission to preserve and interpret historic folk pottery from the Cumberland and Shenandoah Valleys by ensuring a broader spectrum of the public are able to enjoy the beauty of this regional art in a location that gives them greater access to view their craft. Sign up with your email address to receive news, class updates and announcements.